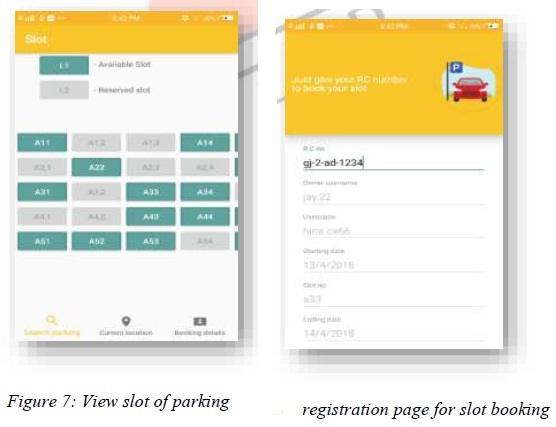 Present day's car parking has become major issue in urban area with lack of parking facilities.it is very difficult and frustrating to find a parking space in most metropolitan areas, especially during the rush hours.to solve these problem The proposed application provide an easy way for reservation of parking slot . In this application user can view various parking areas and also view whether space is available or not. If the booking space is available then he can book it for specific time slot. Also, this system provide an additional features for user. As the population increased in the metropolitan cities, the usage of vehicles got increased. Finding a car parking space in most metropolitan areas, especially during the rush hours, is difficult for drivers. Indisciplinary parking may result in damage to the car. Thus there is a need to provide sufficient parking spaces coupled with plenty of slots to help the user park his car safely. Basically parking system is one of the most adopted and fastest growing solution of smart city. Currently, most of the existing car parks do not have a systematic system. Most of them are manually managed and a little inefficient . Every user's demands should be I. Users friendly ii. Should be more efficient iii. They should provide more security. 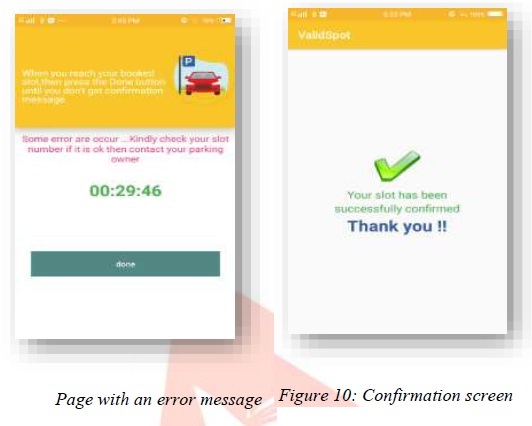 The idea behind our Android Application-“validspot” is to help the user for online parking booking. In this application user can view various parking areas also he can select it to view whether parking slot is available or not. If the parking slot is available in parking then user can book it for some specific time slot also, this system provides an additional feature of cancelling the bookings. It also utilize the open ground for parking with security. So, it will solve the parking and traffic problem. In this there is no need to use additional costly camera and scanner device for verification purpose. In this system Registration certificate (R.C) book is use for verification purpose, so it reduce the extra cost also. • Initially, the Latitude and Longitude of the center of the slot will be stored in the database. • For User side, slot selection is made from the mobile application. • The user will have to reach the parking in 30 minutes. After reaching in the parking, the user will go to his booked slot and press a button. • After pressing the button, two things will be found. 1 user's current Latitude and Longitude Points .2 with the help of point of slot, the fictional circle with a radius of 2 meters will get. • If the current point is within this circle then the user's slot will be confirmed and it will get a confirmation message. And if it is not in the points of circle then it will be given an error message. Note that if user will not reach within 30 minutes then his booked slot will be cancel. First of all user need to install a 'validspot' application on him android device. User can use this app using login to the system. If user is new then first time registration is required. User can find their parking based on destination address.so, based on its nearest parking lists will be displayed on screen. In which parking name, parking address and its type will be shown. Parking slot will be shown based on selection of parking. Here color code is used to differentiate the available slot and booked slot. 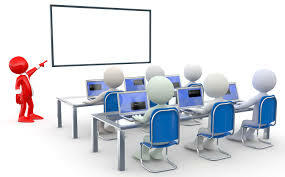 After selection of slot, registration certificate (R.C) number is required for final booking purpose. Here, default time period for booked slot is 24 hour. The client will have to reach the parking in 30 minutes. If it is not reach within 30 minutes then his booked slot will be cancel. Otherwise Final confirmation message will be given to user if he will park their car in proper slot. 1. User can view their current location and also view path between current location and parking address. 2. User can view his current booking details. In which he can view details like parking name, address, type and also view ending date and time period of slot. He can also cancel booked slot. And for this only registration number is required. 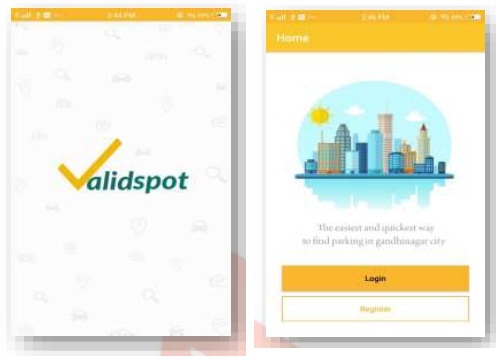 This "valid spot" app is a small step to make city a 'smart city’. This can be developed in future for wide area so that it can help people on large scale. In future this application can be implemented on the existing operation systems like ios and windows. 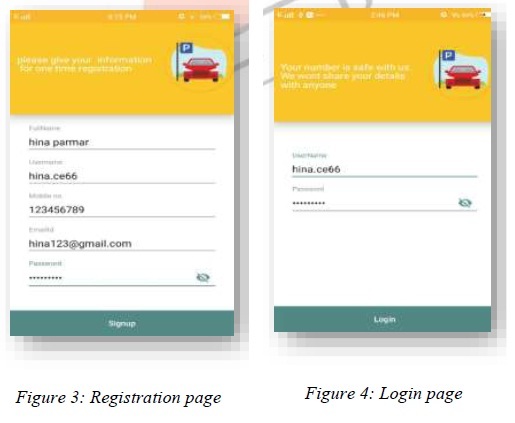 And also it would be viable to add some extra features like extend the time period of booked slot and should be possible to send message to user before expired time period. The proposed system reduce drive frustration and traffic by providing nearest parking area and available slot. As smart parking system increase the service levels in operation, there is a lot of scope for innovations and implementation through data standardization and management, mobile phone integration, hardware and software integration. Basically smart car parking system save time, money, space and help to simplify the often tedious task of parking. Fariza Norbaya R. Yusnita and Norazwinawati Basharuddin. Intelligent parking space detection system based on image processing. International Journal of Innovation, Management and Technology, 3(3), June 2012. M.O. Reze M.F. Ismail A.A. Rokoni M.A.R. Sarkar, “Smart parking system with image processing facility”, I.J. Intelligent Systems and Applications, 2012. M.M. Rashid A.Musa M.Ataur Rehman N.Farhana A.Farhana. 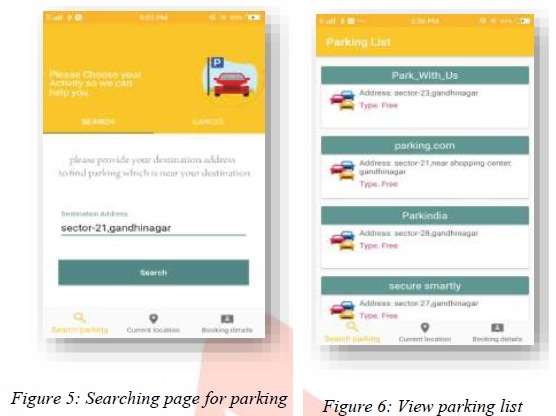 “Automatic parking management system and parking fee collection based on number plate recognition.” International Journal of Machine Learning and Computing, 2:93-98, 2012.